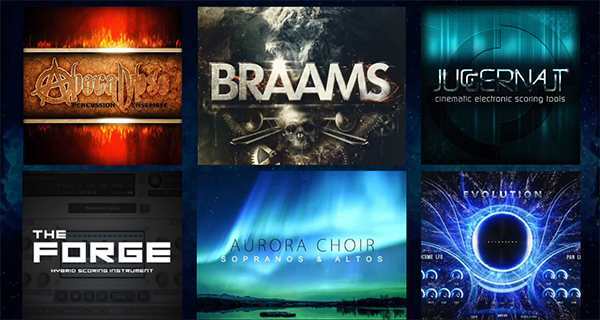 Audio Bundle Deals has just launched a new bundle called the “Epic Sample Library Bundle Vol. 1.” The collection contains 6 Kontakt instrument libraries and are currently available at an 83% discount. Each product is available individually as well, for a discounted price. The bundle includes over 52 GB of percussion, sound design, choir, FX, synths and more, perfect for trailer music, cinematic music, or anything else that requires something epic. 3.4GB (Kontakt & WAV format), Loops, Drones, Drums, Impacts, SFX, Melodic Instruments, Risers and more. 11GB Soprano & Alto choir, 4 mic positions, phrase builder, true legato and more. 820Mb – 130 WAV files 24-bit 96k, Kontakt & WAV format. SFX & instruments (eg. Trailer Brass, Guitars, Pulses etc. ), 8GB of content – Kontakt & WAV format. 4.5GB of modern cinematic FX, synth basses & drum kits, Kontakt & WAV format. Industry-leading epic percussion juggernaut, 25GB, 40 drums and close to 200 articulations. The bundle is available now for 199 EUR until April 24th.